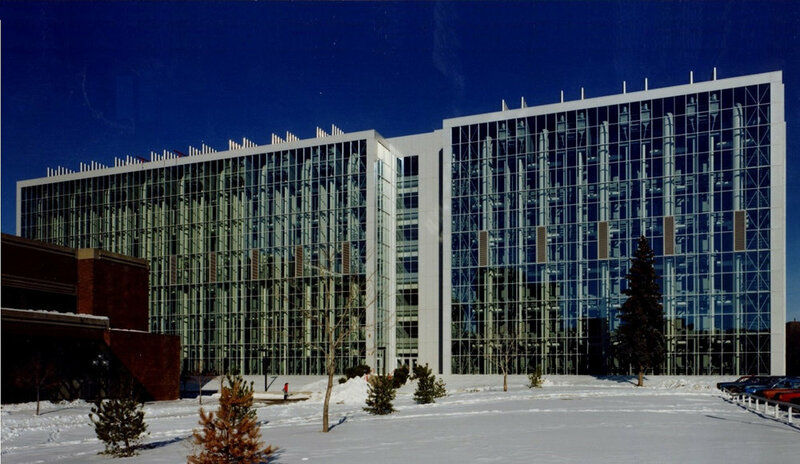 Heritage Medical Research Centre, University of Alberta, Edmonton — HFKS Architects Inc.
State of the art award winning medical research facility at the University of Alberta. The facility, which was conceived as generic laboratory modules, can accommodate the complete redevelopment of each module (3.2m) without disruption to adjacent – beside, above and below – researchers. The building is designed as one of the world’s largest passive solar collectors. Heat sinks are located in the lowest level. The building is one of Edmonton’s first “green” facilities.